Originally developed as a vacation mecca in the 1910's for the city’s wealthy, the area was serviced by a trackless trolley between 1912 and 1918 which operated between Sunset Blvd and Lookout Mountain. To go further north, one had to take a mule or go on foot. A few lovely hotels were built, one on Appian Way, and one on Lookout Mountain called the Lookout Mountain Inn. By the 1920's the existing vacation cabins were starting to be purchased as primary residences. Real estate developers arrived and built communities of affordable homes, including Bungalow Land and Wonderland Park. The lots were narrow and connected by narrow lanes, which gives Laurel Canyon its flavor today. Yet, many film stars of the 1920's built huge Tudor and Spanish style homes along Laurel Canyon Blvd, Appian Way and beyond, many of which are still standing. Harry Houdini’s home is just south of the Laurel Canyon Market at Lookout Mountain and Laurel Canyon Blvd. By the 1920's the area was serviced by a one-room schoolhouse, a local newspaper called the Canyon Crier, a general store and restaurants. Pace, the local Italian restaurant, is a great place for a pizza or steak today. In the 1960's Laurel Canyon became the center of counter culture in Los Angeles, much like the Haight-Ashbury District in San Francisco. Frank Zappa, Jim Morrison and the Doors, Joni Mitchell, the Byrds and Buffalo Springfield were some of the many famous musicians serenading the canyon at that time. Joni Mitchell’s third album Ladies of the Canyon is a reference to her beloved Laurel Canyon. Of course, the 2002 film Laurel Canyon, starring Frances McDormand, whose character is a music producer, is a 21st century ode to the musical legacy of Laurel Canyon. As Laurel Canyon real estate becomes hotter and hotter, the more "hip" residents of the Los Angeles Canyons flock to live here. Homes in Laurel Canyon can be affordable and comfortable, a rarity in some of the other Los Angeles area markets. 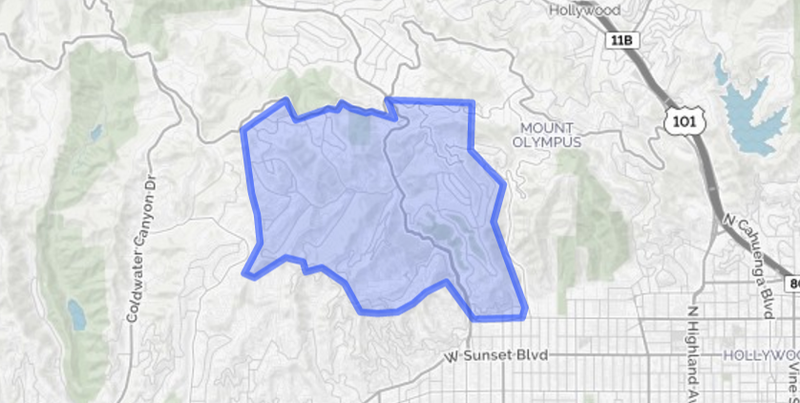 Location: from Laurel Canyon and its offshoots to the West and East, Hollywood Blvd to the South, North to Mulholland. Falling in love with Laurel Canyon?